The craft movement has revolutionised the alcoholic drinks sector but soft drinks have been largely unaffected. Now, that may be set to change, as Gunna founder and CEO Melvin Jay tells us. It’s difficult to remember what drinking beers and spirits was like before the craft drinks revolution. Suffice to say, genuinely tasty beverages that were founded on taste and creativity, rather than global branding and mass-production, were hard to come by back then. But the picture has since changed dramatically; flavour and brand character now abound in beers and spirits, and the big global brands are scratching their heads, or just buying up the craft brands to compete. In the soft drinks market, however, the picture is very different, and the sector is yet to experience its own craft revolution. Much like the lager market ten years ago, the soft drinks industry is still dominated by global corporate brands. So far teetotallers, the health-conscious and the designated drivers have had to choose from a relatively limited selection of soft drinks; however, a craft soft drink revolution is on the horizon. When choosing their tipple at the bar, new generations are accustomed to being spoiled for choice. With a huge selection of craft alcohols to choose from, their palates have not known anything other than quality refreshments.However, despite having the choice that previous generations could only have dreamed of, not all young people are enthused about drinking booze. Surprisingly, more than a quarter of Britain’s 16 to 24-year-olds are teetotal, compared with just over a fifth of the adult population, according to the UK Government’s ONS stats. As the Guardian highlighted, this is “a four-fold increase on the rest of the population, with just one in 10 seeing drinking as ‘cool’”. Indeed, Dr James Nicholls, director of research and policy development at Alcohol Research UK, told the newspaper that drinking among young people has been declining for a decade, and that this is part of a worldwide trend.So, if young people are moving away from alcohol itself, what might this mean for the future of craft soft drinks? Big lager brands have long produced extremely similar drinks that are yellow, fizzy and lacking in pizzazz, all of which created the fertile ground for distinctive craft beers to flourish.Now, many consumers are beginning to notice that ‘old school’ soft drinks are similarly lacking in flavour and character. While young people are drinking less alcohol – or cutting it out altogether – they still go out to socialise. Their friends enjoy a variety of craft beers and spirits while they’re left to nurse a half-pint of diet cola or a glass of orange juice.This is a very real frustration that we hear when we speak to consumers every day. They often wonder: Why aren’t there more exciting soft drinks available? And, why have we had largely the same limited choices over the decades?It’s unsurprising then that millennials are desperate to find some more flavoursome soft drinks with a bit of personality. With craft alcohol firmly entrenched in our drinking habits, we expect the same trends that kickstarted the craft alcohol revolution to fuel rapid growth in craft soft drinks. But what do consumers look for in a craft soft drink? What does a craft soft drink need to deliver if it is to be part of the forthcoming revolution? Passion: The craft movement has excited consumers’ taste buds with unique, interesting, flavoursome drinks, made with real passion. Consumers have a clear feeling that the people behind the product have put their ‘heart and soul’ into these bottles and cans to make something more distinctive, better tasting, healthier and more authentic. Provenance: People love to know about the source of the ingredients, the story of the founders, and the people behind the product. These ‘brand stories’ (think Brewdog) create a very strong feeling of transparency and connectedness to the company, which increases their emotional commitment to craft brands. Purpose: People like to see craft product companies as having a wider purpose and being conscious about the impact they’re having on their local community and the wider world, rather than caring solely about money. Craft producers often strive to prove that they’re committed to local job creation, looking after their suppliers in less-developed companies, passing on a percentage of profits to charity, or helping to protect the environment. Personality: Some people say millennials don’t like big corporate brands, but I’m not sure that’s true. It’s just that they prefer the way craft brands talk and look. Consumers also love the distinctive personality and character that craft brands project, both through interesting packaging and through language/tone of voice. Whether it’s humour, a rebellious streak, or some other quirk, craft brands look different and communicate in a way that’s very un-corporate. 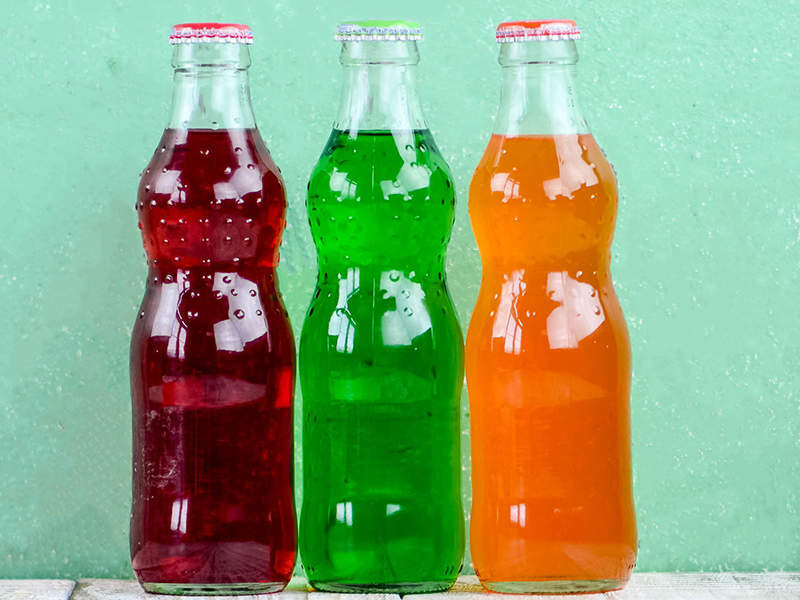 So, we can expect to see many craft soft drinks springing-up as new and current generations seek something that looks, sounds and tastes inherently different to what they’re used to. Considering all the creativity, the entrepreneurship of small brewers and the explosion of exciting and flavourful products that were borne out of the craft alcohol revolution, we’ll have even more to celebrate as the world wakes up to the craft soft drinks revolution.